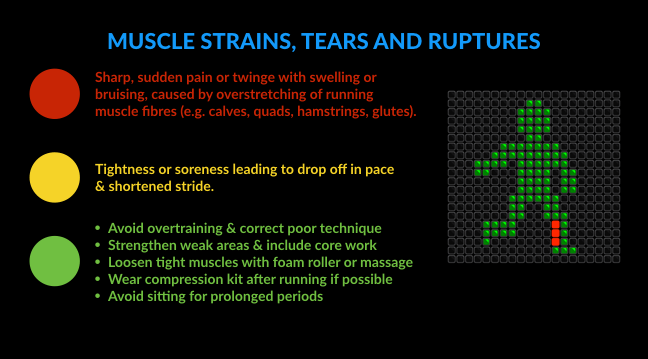 Injury During Marathon Training - Avoid the 7 Big Running Showstoppers! Are you a careful driver at traffic junctions? Or, are you often tempted to jump the lights? No, you haven't inadvertently landed on a road safety blog. At least, not in the literal sense. 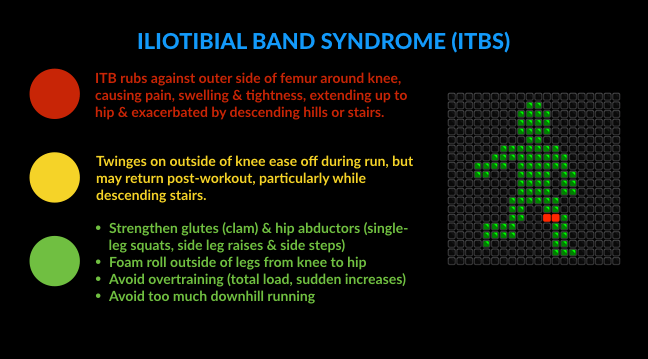 I would like to introduce you to the 'traffic light' approach my clients use to manage any form of running pain. Runners preparing for a marathon are particularly susceptible to chronic or overuse injuries. These breakdowns can seriously delay, or even stop you progressing towards your marathon time breakthrough. 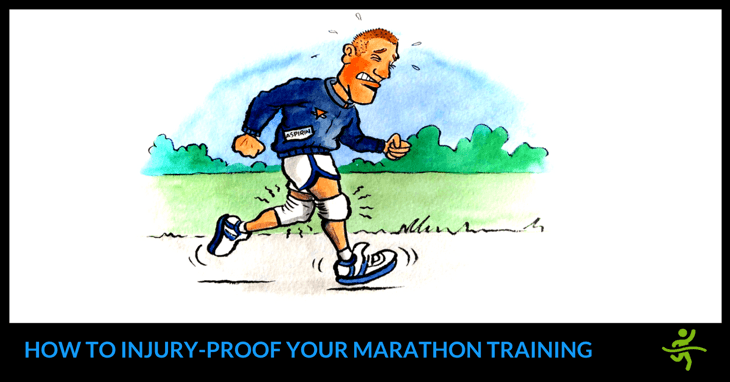 What can you do to avoid injury during marathon training? Firstly, there are the warning indicators. A full-blown injury, such as a torn muscle is a red light. STOP running immediately and apply RICE treatment to the injured area (Rest, Ice, Compress and Elevate). Then get advice and treatment from a qualified physiotherapist as soon as possible. At the other end of the scale, there are the familiar green light soreness and fatigue symptoms that follow most hard workouts. These are an inevitable consequence of the stress, recover, adapt cycle found in every successful marathon campaign. Minor, niggling complaints such as a tight calf or sore foot. 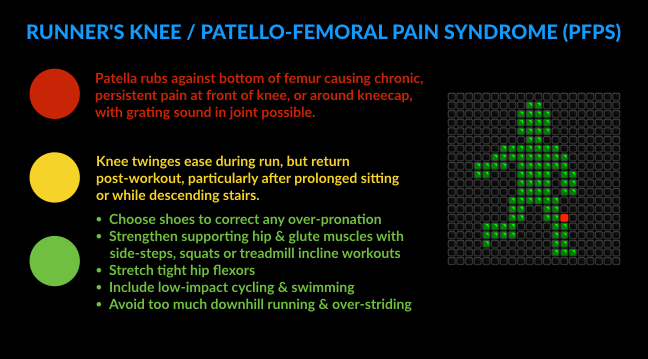 Symptoms that you'd ideally stop for, if you weren't in your peak training phase. And on course for a marathon PB! Pause briefly when the injury risk is amber by applying RICE treatment. Bring forward a rest day, or replace a run with a bike ride or swim. The light should then quickly change to green and you can go on with your marathon plan. Stop training immediately and get advice and treatment from a qualified physiotherapist. By ignoring an amber warning, you run the risk of the light changing to red. A minor problem then quickly escalates to a full blown injury that takes you off the road completely for some time. And then having a crash that keeps you out for months or even longer. 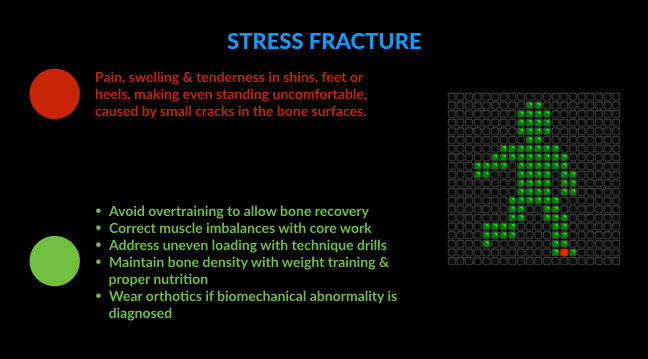 Stop for a few weeks and avoid serious injuries such as stress fractures, torn ligaments etc. Your success in avoiding serious running injuries ultimately depends on whether you jump red traffic lights! 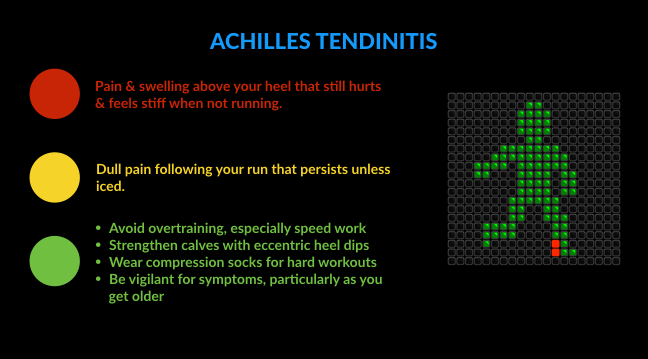 I strongly suggest you devise your own long-term running injury prevention strategy. This will act as your green filter light, keeping you running consistently without enforced stoppages. Breaking your marathon training schedule down into progressive phases is a smart move. An early base conditioning phase, for example, will strengthen your body before the more demanding marathon-specific training starts. You should also make time whenever you can for strength training, stretching, foam roller exercises and running form drills. Foam roller exercises feature strongly in the running injury prevention measures above. To discover how to get the biggest benefits from this versatile method, watch my free video on The 7 Top Foam Roller Exercises for Marathon Runners! The key question asked in this article was - what can you do to avoid injury during marathon training? 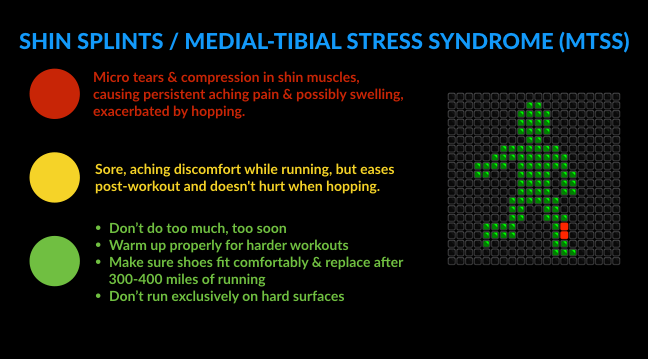 I hope I've answered this, at least for the common running injuries. 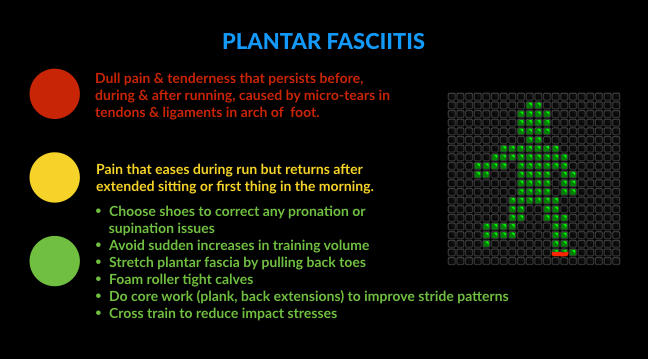 And how effective the running injury prevention strategies have been for you.